We are available 24 hours a day, 7 days a week at (888) 915-8868 for disaster restoration services in Mount Pleasant and the Islands, SC. 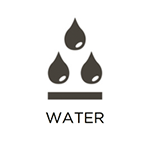 Water is the most common cause of damage because it comes from so many sources and it can happen at any time of year. 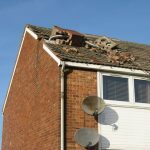 It won’t go away on its own and the longer it sits, the more it will spread and cause damage to both property and building materials. 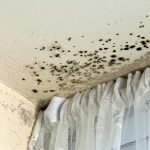 Mold becomes a hazard after only a few days. That’s why it’s important to call RestorationMaster at the first sign of water damage to your home or business in the Islands or Mount Pleasant, SC. We use the most advanced cleanup and drying techniques in the industry to stop the water, dry it, and repair any damage to flooring or contents. 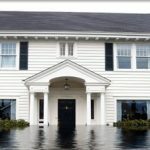 Few natural disasters are more damaging than indoor flooding as the excessive amount of water quickly gets absorbed into porous building materials which can result in serious structural damage or mold growth. It can be difficult to prevent indoor flooding because there are many potential causes such as natural flooding, rain, overflows, pluming leaks, and sewage backups. You must take action as soon as you experience indoor flooding because any hesitation will allow the water to spread further and increase the risk of mold growth. RestorationMaster provides flood damage restoration services in The Islands and Mt. Pleasant, SC to extract flood water and ensure that the affected area is cleaned up and restored. 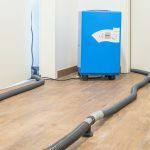 We use the best water extraction and drying equipment available to remove all water and moisture and we are also prepared to handle hazardous situations like a sewage backup. 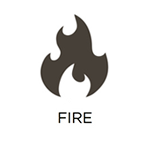 The threat of fire damage doesn’t end when the flames are extinguished. Soot and corrosive toxins from burning synthetics can etch and tarnish household surfaces like marble, brass, aluminum, and chrome. This can become permanent within days if not restored. RestorationMaster provides fire damage restoration services in the Islands and Mount Pleasant, SC for residential and commercial properties. Our technicians will stop any further losses and restore your property quickly and efficiently. We work with your insurance company so your claim can be settled as soon as possible. Mold is much more than a cosmetic problem. It can cause itchy eyes and runny noses, and worsen allergies and respiratory issues. If it gets into walls, it can spread unnoticed throughout your home. Mold remediation isn’t a DIY project; without proper training and equipment it can contaminate the cleaning crew and spread through the home. That’s why it’s vital to call the professionals at RestorationMaster at the first sign of mold in your home or business in the Islands or Mount Pleasant, SC. We use the InstaScope testing system to find every trace of mold, even in hidden areas like inside walls, so we can remove it once and for all. 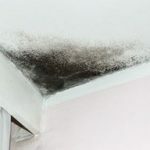 Nobody wants to deal with mold in their home or building because it is difficult to remove and it can cause major structural damage or health issues over time. 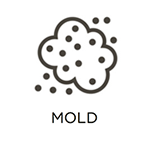 Mold usually forms due to excess water or moisture and it uses cellulose, an organic material in drywall and wood, as a food source. The surface damage caused by mold growth can eventually affect the structural integrity of your home and exposure to mold can lead to allergies and even infection. RestorationMaster provides mold removal services for The Islands and Mt. Pleasant, SC to test for and remove mold growth from homes and businesses. Our InstaScope testing system is the most accurate of the industry and it allows us to locate all hidden mold growth. It is very important to keep your HVAC system in working order because it is the system that heats and cools your home. This system becomes dirty by drawing in dust and other airborne debris and as this debris builds up, the HVAC system becomes less efficient and more prone to breakdowns. RestorationMaster provides air duct cleaning services for homes and businesses in The Islands and Mt. Pleasant, SC. We use advanced equipment to remove the debris buildup from the air ducts and component parts for a noticeable improvement in efficiency. Some disasters cause so much damage that the structural integrity of the building is in jeopardy. It’s not enough to warrant full demolition, but it needs to be stabilized or it might end up that way. RestorationMaster offers reconstruction services to clients in the Islands and Mount Pleasant, SC whose homes or businesses have experienced severe damage. 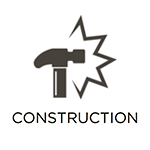 Our professionals will arrive quickly to prevent more damage and work with you to create a reconstruction plan to rebuild and restore your home or business. We’ll keep you informed about the progress every step of the way and work with your insurance company to make the process smoother. A carpet says a lot about your home or business. What is yours saying right now? If yours has stains, dirt or odors, you need the experts at RestorationMaster. 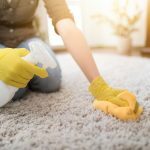 We offer high quality residential and commercial carpet cleaning to clients in the Islands and Mount Pleasant, SC, both on a one-time or regular basis. Daily foot traffic leaves dirt and debris ground down deep into carpet, wearing down fibers and aging them prematurely. Our advanced cleaning products and equipment ensure that even ground-in dirt and stains are removed. 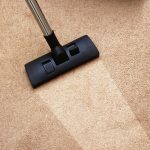 Regular cleanings will keep your carpet looking good for a long time. Hardwood floors are quite an investment because they are generally more expensive than other flooring types but they add to the value of your home. The natural look of hardwood floors creates a charming atmosphere and while these floors are durable, they can still become dirty and worn out, affecting their appearance and shortening their life. 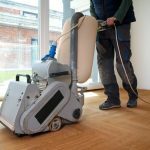 RestorationMaster provides professional hardwood floor cleaning services in The Islands and Mont Pleasant, SC to thoroughly clean hardwood floors. We use advanced equipment and cleaning products to remove embedded debris from the floor and preserve its natural beauty. Hoarding behaviors are the result of complex anxiety issues and the effects of those behaviors can be very dangerous for those affected and their families. The anxiety that is behind hoarding prevents those affected from disposing of anything they have collected in their home, allowing a hoard of items to grow. 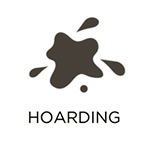 The hoard will eventually dangerously clutter the home and increase the risk of a fire or injury. RestorationMaster provides hoarding cleaning services in The Islands and Mt. Pleasant, SC to clean and restore homes affected by hoarding. Our technicians can thoroughly clean and disinfect the home to restore sanitary living conditions while making sure that the affected individual is part of the cleaning process. Every kitchen or bathroom usually has a tile and grout surface because their moisture resistance makes them a durable option and they come in many styles and colors to match the design. However, these surfaces have a finish that wears out over time and allows dirt and moisture to accumulate on the tile surfaces and grout lines. This buildup will eventually cause the tiles to look faded or dirty. RestorationMaster provides tile and grout cleaning services to thoroughly clean and restore your tile surfaces in The Islands and Mt. Pleasant, SC. Our advanced cleaning products and equipment will restore the original color of the tile and revitalize the look of the room. Violent crime and accidents are an unfortunate part of life and if it happens on your property, you must be extremely cautious and take action right away. 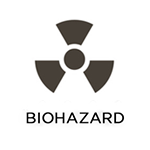 These scenes can be very dangerous as blood, bodily fluids, and other biohazard materials contain disease causing agents and must be cleaned up properly to avoid spreading disease or infection. 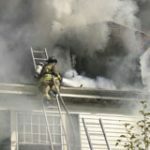 Calling law enforcement is the crucial first step but you have to call a restoration professional to handle the cleanup. 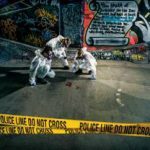 RestorationMaster provides biohazard and trauma scene cleaning services to safely restore the scene of a violent crime or accident in The Islands and Mt. Pleasant, SC. We are committed to restoring the scene to its original state and we take a compassionate approach to help ease the burden of those who are grieving.